→ and/or because of your valued involvement in sport. Images not displaying? Enjoy online. 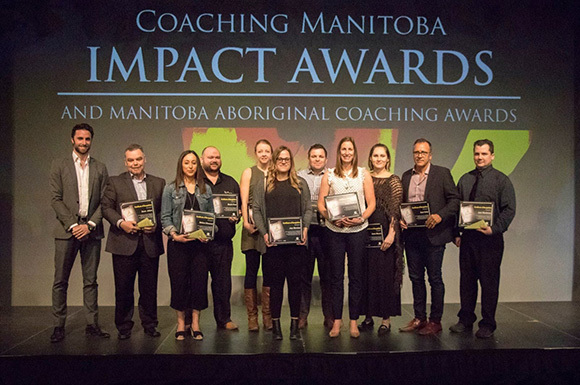 SPECIAL EDITION from the 2018 Coaching Manitoba Impact Awards presented by Club Regent Event Centre! Reply to our tweets and congratulate the nominees and winners #CMIA2018. We posted a post-event photo album to our Facebook page. Share photos, video and gives Coaches a like or congratulatory message. Sport, Work, Play...in pain? We can help! Sign up for your own copy and stay in the loop with occasional previews, events and tips. eNews deployed on behalf of Sport Manitoba by eTouchServices Inc.